When Microsoft entered the VR arena they brought along another standard for developers to code against, contributing to the vast fragmentation in the space. The good news, however, is that they appear to be aware of this issue, and has also joined the Khronos Group, creator of OpenXR, a standard designed to improve interoperability between the various applications and hardware interfaces used in VR. 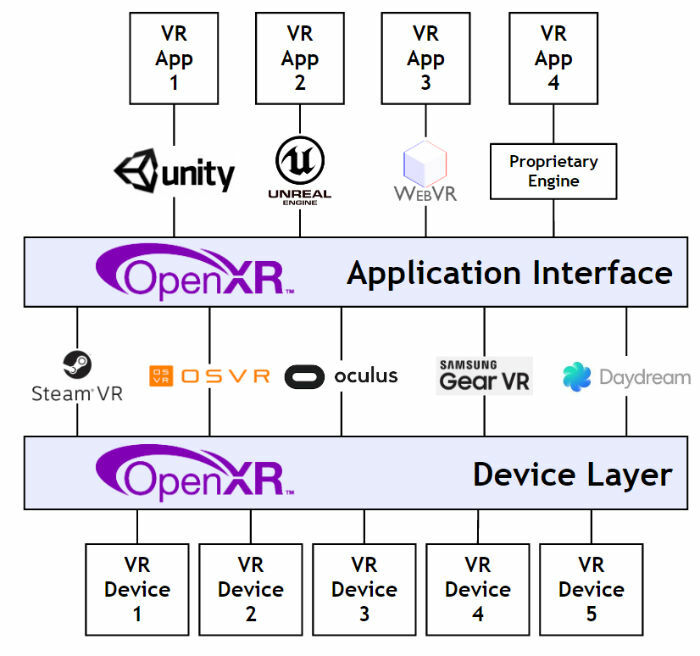 Using OpenXR, applications can be written once to run on any VR system, and to access VR devices integrated into those VR systems to be used by applications. The group consists of nearly everyone except Apple and Microsoft, and Microsoft’s addition to the group will hopefully tip the balance into actual implementation. The first version of the API is expected mid-2018, and if fully implemented may allow users to use any VR headset with Windows Mixed Reality, or bring any VR app to Windows, which has clear benefits for Windows users. Read more about OpenXR here.